Early in 2013 a large number of poems by Rudyard Kipling – many completely unknown – were published for the first time. Here, the editor Thomas Pinney brings together the best of the previously uncollected and unpublished poems alongside old favorites, offering readers the chance to appreciate Kipling’s talent afresh. Rudyard Kipling (1865-1936), winner of the 1907 Nobel Prize for Literature and author of one of the most popular poems in the English language, 'If-', has long captured the interest of poetry lovers. 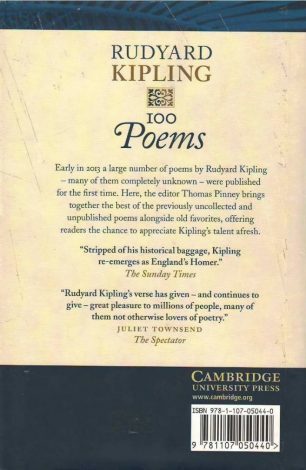 Here, Thomas Pinney brings together a selection of well-established favourites and the best of the previously uncollected and unpublished poems from The Cambridge Edition of the Poems of Rudyard Kipling (2013). The poems, whether exploring the colonial experience, exposing the injustice of war, or appreciating the beauties of nature, resonate with Kipling's keen observations of his world and strong sense of poetic rhythm. 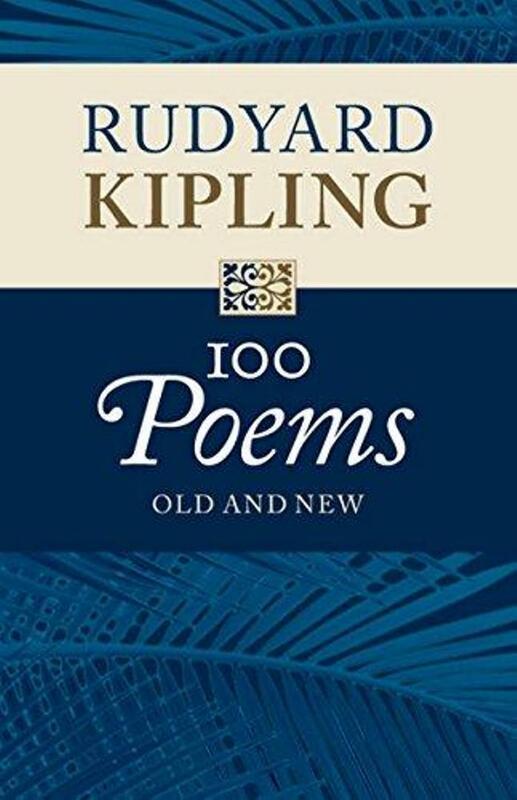 Discovered by Pinney in an array of unlikely hiding places, the uncollected and unpublished poems show the diversity and development of Kipling's talent over his lifetime, and, when combined with long-held favourites, offer readers a unique opportunity to experience Kipling's mastery of poetry in a new way.